When Coheed and Cambria released their 2015 effort The Color Before the Sun, listeners were left wondering if the band were finished with their Amory Wars storyline, which has been written by frontman Claudio Sanchez in comic book form throughout the band’s history (and the reason for the band’s name). The album was different for them as it left the storytelling approach of previous albums in favour of lyrics more rooted in real life. However, Claudio isn’t finished with the universe he has built, and has come back with a whole new storyline. The first album to follow this new Vaxis arc is The Unheavenly Creatures. Opening with “Prologue”, we’re introduced to the new characters and setting for the Vaxis arc, before things kick of musically on “The Dark Sentencer” (named after the prison collapsing in the album’s artwork, as new characters Nostrand and Nia – the titular Unheavenly Creatures and future parents of Vaxis – embrace). It’s immediately clear that even with the new storyline, Coheed and Cambria don’t see any need to drastically change their sound, as they remain firmly in the same progressive rock/emo sound that made them famous with breakout tracks like “Welcome Home”. Things do feel somewhat darker than other tracks in the band’s discography, with beefy guitars and slow, brooding progressions. This particularly contrasts with their last album The Color Before the Sun, which followed a more upbeat and streamlined sound, with the only real semblance of that being in penultimate track “Old Flames”. “Queen of the Dark” is a good example of the moody tone that Coheed and Cambria have adopted, while still retaining the trademarks of the band’s style. With that said, there are still pacier tracks, like “True Ugly” which directly follows “Queen of the Dark”, with the band dancing around punk, metal, indie and prog. The moments of electronica which flow through The Unheavenly Creatures, highlighted on the 80s-esque “Night-Time Walkers”, add a nice change to the sound of the album, while accentuating some of the classic prog influences which have always pervaded Coheed and Cambria’s sound without ever coming quite as far to the forefront. Repetitive synth and electronically altered vocals aren’t things that appear too often with these guys, yet they almost exclusively guide the track. It’s a nice change of pace from the generally consistent approach elsewhere. With that said, the guitars in the second half of “The Gutter” are rather clearly influenced by A Night at the Opera era Queen (especially the classic “Bohemian Rhapsody”). 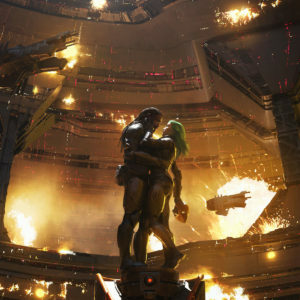 It’s rather apt, really, that Coheed and Cambria would take their cues from A Night at the Opera, considering their intention to create such an epic sci-fi rock opera of their own. The potential for thousands of fans all screaming “CALL YOUR MOTHER” during future live sets is an exciting prospect, too. The main problem with any concept band is that listening to stand-alone tracks can sometimes be confusing without the lyrical context of the rest of the album, or even the rest of the story. It’s something that can be avoided neatly if the lyrics aren’t a concern to you, but in this case new listeners to Coheed and Cambria won’t have too much difficulty understanding the story on The Unheavenly Creatures, because it acts as the first part of the new Vaxis arc, a separate story within the Amory Wars universe. As such you’re less likely to feel lost following the story. The only thing that could really detract potential listeners is the near-80 minute running time for the album, which could feel daunting to the casual listener. 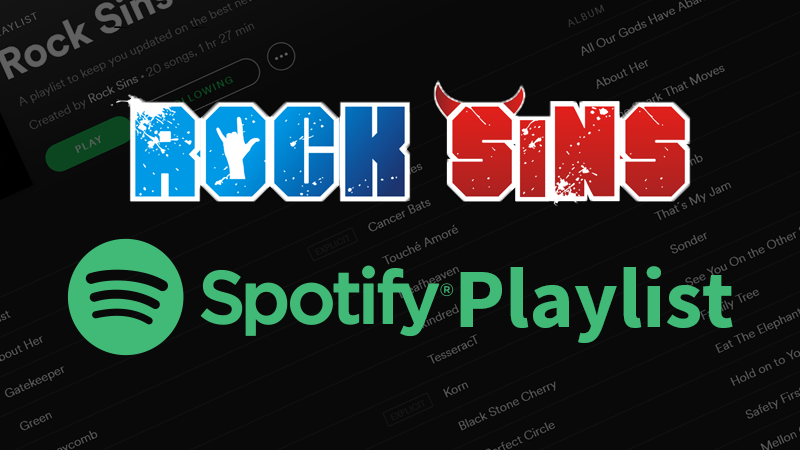 In the era of streaming and custom playlists on Spotify etc., it’s not likely that they will be attracted to such a long album for a single sitting, or casual listening. It’s not something that will affect die-hard fans, though, so I don’t think they will be too concerned. The album flows well for a single listen if you have the time to devote to it, although “The Pavilion (A Long Way Back)” does feel somewhat out of place, feeling lyrically and musically more like something from The Color Before the Sun – which is likely given this was the first track written for the album, and was completed before a set vision for the story came about. Overall, Coheed and Cambria have still managed to find a way to push themselves in new directions while still staying firmly in their comfort zone. It makes for a more expansive, drawn out effort, which can be a challenge to some listeners, although it also serves as a welcome return to The Amory Wars after the slight detour in 2015. Vaxis – Act I: The Uneavenly Creatures is out now via Roadrunner Records. Follow the band on Facebook.